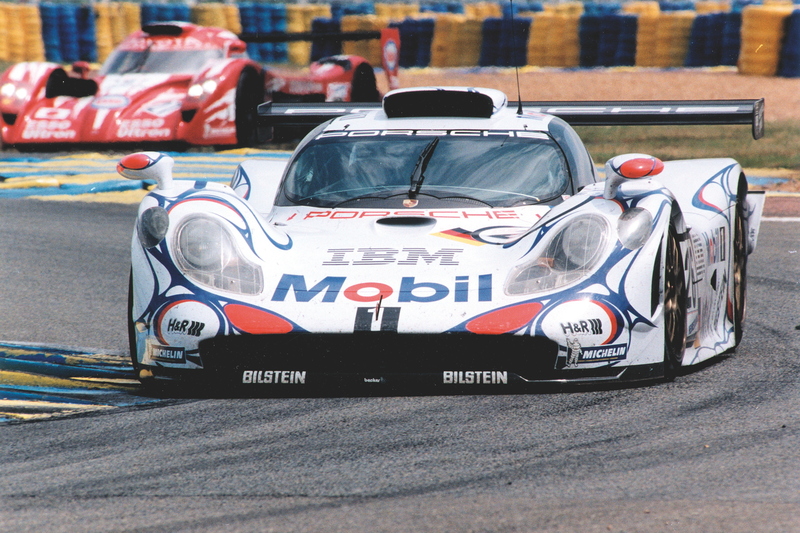 On the 7 June 1998, Laurent Aiello (along with Allan McNish and Stéphane Ortelli) became the last man to win the 24 Hours of Le Mans outright for Porsche. Now, as Weissach returns to the top class, Aiello will return to La Sarthe with Porsche. The French racer will take part in the Porsche Carrera Cup support event that will precede the 24 Hour race on Saturday morning. The grid will see a combination of French and British Carrera Cup runners take to the 8.47-mile Circuit de la Sarthe. Aiello (far left) will be up against 60 other Carrera Cup racers as the one-make 911 series gets a special one-off race around Le Mans. Ortelli’s car will be decked out in the evocative Mobil 1 livery that his 911 GT1 Evo carried in 1998, while he will also carry the number 26, the same as his Le Mans winning entry 16 years ago. Completing a triumvirate of throwbacks, Ortelli’s race engineer in the Porsche VIP-entered 911 GT3 Cup car will be, Roland Kussmaul, the man on Porsche’s pit wall during that famous victory in 1998. Aiello’s #26 911 GT3 Cup will run in a Mobil 1 livery reminiscent of his winning 911 GT1 98.